ICRP, 2018. 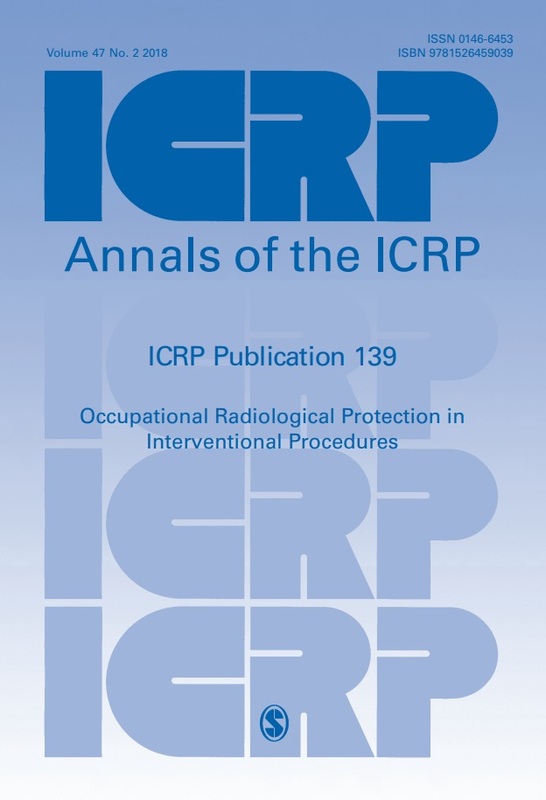 Occupational radiological protection in interventional procedures. ICRP Publication 139. Ann. ICRP 47(2). Abstract - In recent publications, such as Publications 117 and 120, the Commission provided practical advice for physicians and other healthcare personnel on measures to protect their patients and themselves during interventional procedures. These measures can only be effective if they are encompassed by a framework of radiological protection elements, and by the availability of professionals with responsibilities in radiological protection. This framework includes a radiological protection programme with a strategy for exposure monitoring, protective garments, education and training, and quality assurance of the programme implementation. Professionals with responsibilities in occupational radiological protection for interventional procedures include: medical physicists; radiological protection specialists; personnel working in dosimetry services; clinical applications support personnel from the suppliers and maintenance companies; staff engaged in training, standardisation of equipment, and procedures; staff responsible for occupational health; hospital administrators responsible for providing financial support; and professional bodies and regulators. This publication addresses these elements and these audiences, and provides advice on specific issues, such as assessment of effective dose from dosimeter readings when an apron is worn, estimation of exposure of the lens of the eye (with and without protective eyewear), extremity monitoring, selection and testing of protective garments, and auditing the interventional procedures when occupational doses are unusually high or low (the latter meaning that the dosimeter may not have been worn).